Summer Basketball Camp starts June 19 at Upper Noe. See the Summer Schedule. 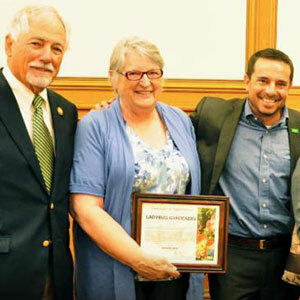 As part of Women's History Month, the City has honored the women who voluntarily give their time and effort to keeping our gardens green and groomed. At the Recreation and Park Commission meeting on March 20, Joan Lionberger and Kate Haug received a Certificate of Appreciation from General Manager Phil Ginsburg and Commission President Mark Buell for their leadership of the Ladybug Gardeners. Friends could not be prouder of Joan and Kate. Their tireless advocacy, stewardship and physical labor ensure that the gardens get the attention they need. Under their care, the gardens have seen ample improvements over the years, such as the native plant garden on the west side and the plantings along the sidewalk on Sanchez Street. Ladybug Gardener work parties include a wide cross-section of the community, men, women, kids, parents, seniors, local residents and gardening enthusiasts from across the city. Work parties are organized every few months but avid Ladybugs keep a sharp eye on the gardens always and get to work on any given Saturday. Join the Ladybugs. Email Ladybugs@noevalleyreccenter.com. 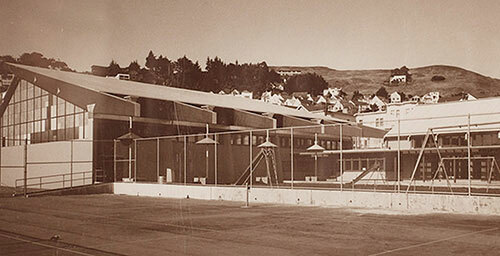 On May 17 from 1 to 4 p.m., current and past residents of Upper Noe will be writing the history of our neighborhood. When did it become “Upper” Noe? What were the significant local events of the last half-century, or just the past year? Whether you are a native or recent arrival, young or old, this is your story. History Day will feature artifacts, photos and other memorabilia from our neighborhood’s past but, more than that, it will celebrate the people who make up our community. Where are you from? How did you come to be a neighbor? Read the writings on the wall, add your experiences to the interactive timelines and share group activities. Sip exotic teas and enjoy treats donated by local merchants. Music, arts and crafts, and the Imagination Playground will captivate kids for hours. Participation from a wide gathering of residents, community organizations, local historians, church and school representatives, merchants and such will make our collected history authentic. Come and be our historian. Kids will have a great time at this free event, hunting for eggs and treats, playing games, making art and crafts, dying eggs and listening to music. Local merchants have generously donated prizes and candy as well as healthy snacks, too. Our master of ceremonies for the day is, of course, the Easter Bunny. Come and meet him. Mom and Dad, be sure to get your raffle tickets for some fabulous family fun and adventure. Volunteers are needed. If you can help out, contact Carin at carin@k9scrubclub.com or info@noevalleyreccenter.com. This traditional event is hosted by Friends of the Noe Valley Recreation Center. Tucked away against the southwest corner of the rec center building is the lovely little Bluebird garden. It attracts little attention and even less maintenance. 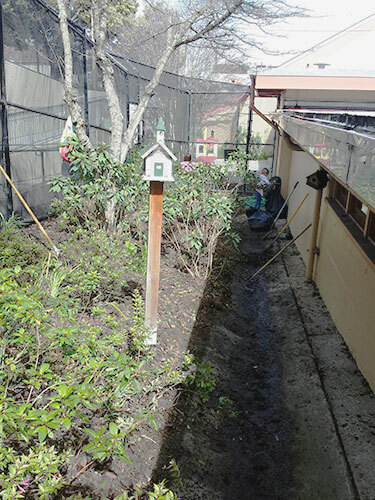 So, Ladybug Gardeners put to work on Saturday, March 8 to restore it by clearing it of grass and weeds. The results are amazing. To look upon it changes the way one feels about the park as a whole. 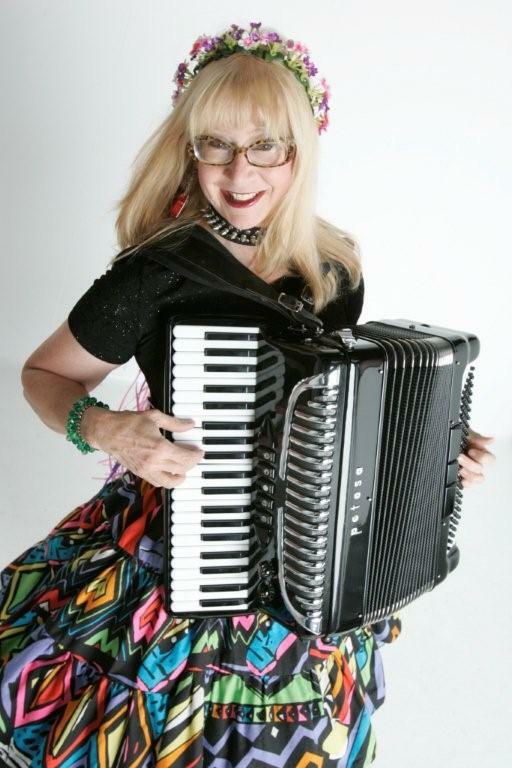 Come hear her in the playground on April 19 from 10 a.m. - noon (rain moves the event inside). Charlie senses that something is new in Joby’s Run. Check it out. Rec & Park carpenters recently installed this wooden border along the Day Street entrance of the park. 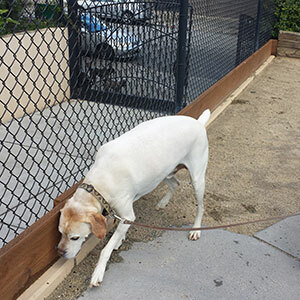 The tidy addition will keep gravel from spilling over into the park entrance when frisky dogs make hard stops at this end of the long run. As well as preserving gravel, the barrier will help keep the entryway cleaner and more attractive. • Garden at the Park. Help keep the park beautiful by volunteering with the Ladybug Gardeners on the second Saturday of each quarter. The next date in 2014 will be March 8. All ages welcome, no experience necessary, community service hours credited. Even an hour would be a big help! Please email ladybugs (at) noevalleyreccenter.com. Thanks for your interest and support of your park! Please contact us with any questions or suggestions. Let us know about any community events you are planning at the park so we can promote them. Please forward this newsletter to your friends and neighbors who use the Noe Valley Recreation Center. We want this newsletter to help build the park community -- please help us connect with members of the community.